TZ Navigator's redesigned user interface will make your life much easier when it comes to route planning and all the features you are familiar with (Tides, Currents, Weather Forecast, etc.). All the concepts which made TIMEZERO a huge success are now included in an enhanced User Interface fully adapted to be used on touch screens! The new Route Planning Wizard now allows you to compute departure time according to various conditions (Tides, Currents, Transit Time, etc.). Arrive at high tide or leave the harbor with optimal currents conditions has never been this easy! 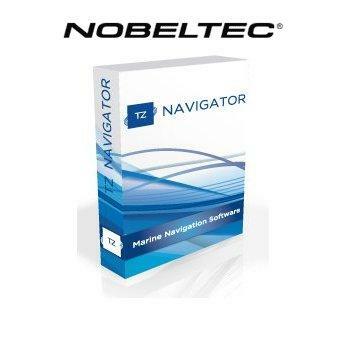 TZ Professional V3 is the latest version of Nobeltec's marine navigation software and the one sole product that suits all the needs of professionals at sea. Close to 25,000 vessels currently use our TIMEZERO software. This new version offers an incredible amount of new features specifically designed for both professional fishermen and workboats.